It was the first time they met and they did it in Jersey on 27th June. Mr Julienne congratulates Mr Le Fondré for his election and new position. They also discussed several topics such as business, education culture, twinnings. A very good meeting which is promising for the future of our relations and the co-operation between our territories. 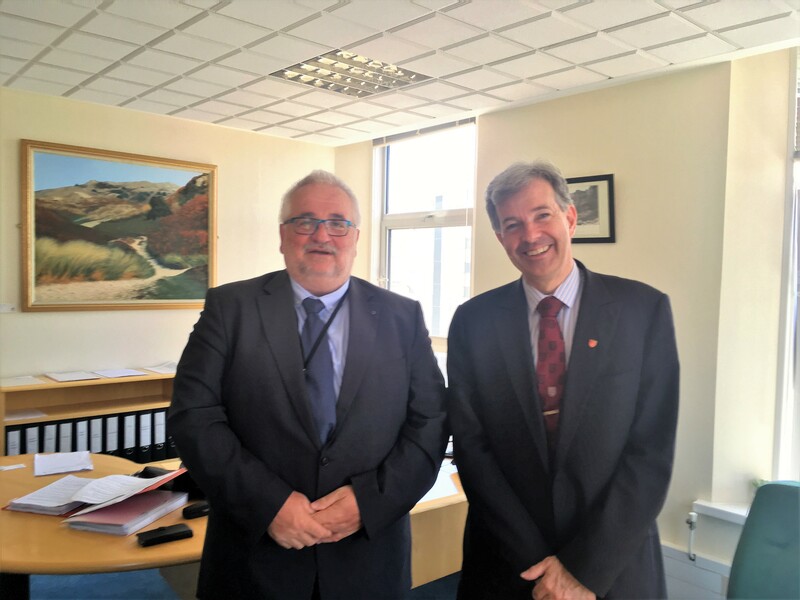 There is a co-operation agreement linking the Government of Jersey, the States of Guernsey, the Region of Normandy and the Département de la Manche. The BIAN “Bureau des Iles Anglo-Normandes” is the representative office of both bailiwicks in France, based in Caen. Maison de la Normandie et de la Manche is the permanent representative office of the county council of La Manche and the Regional Council of Normandy in the Channel Islands (based in St Helier).